Son of Erik Design — Visual Brand or Just a Logo? What's Best? For my inaugural blog post, I thought I would tackle a subject that I feel a lot of small businesses owners and entrepreneurs struggle with – the difference between a logo and brand. And I will also be covering why developing a brand is a better way to go in the long run. But first, let's chat for a moment. As a small business, take a minute to think about your competition. Do they have a great logo with fantastic supporting brand elements forming a great creative brand? How does your brand compare? Would you be reticent to put your brand and their brand side by side for potential customers to look at? Do your brand and marketing materials instill trust and confidence because they are well designed and look like you put time and effort into them? If not, you might be losing out on customers because, whether we like it or not, they put a lot of stock into the outward appearance of a business. Some people think that it is enough to just get a logo designed, and if I'm honest, I've designed a lot of "just logos" in the past. However, there is a better way to go about giving your business a face. 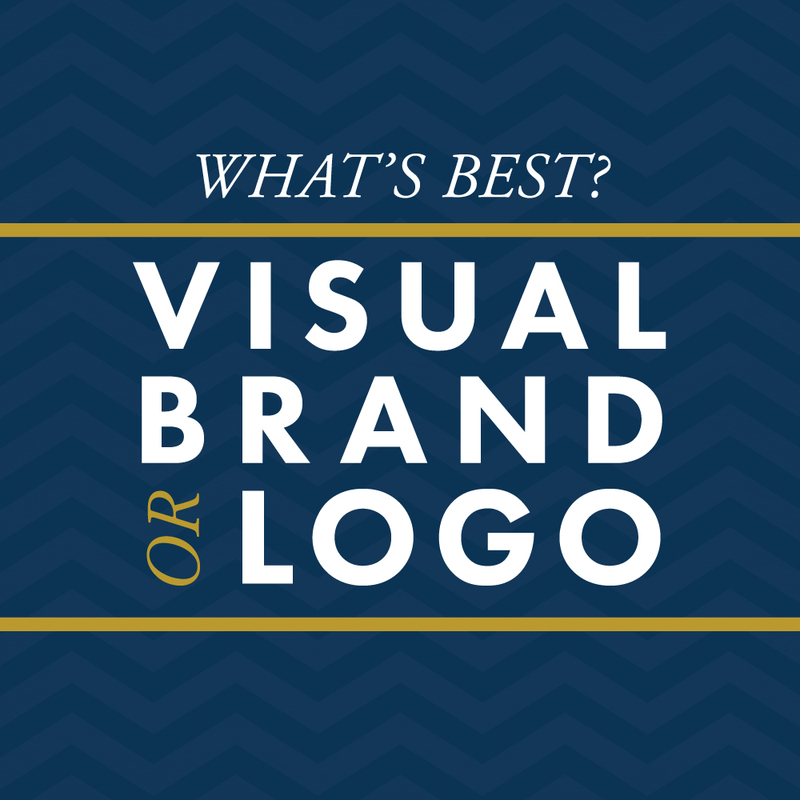 Let's talk about what the differences between just a logo and a brand. Logos are a symbol or mark that is more often than not the image that represents a business to the public. It can live on products, print materials, websites, social media, and literally anywhere else the company wants to put it. It is often referred to as the face of the company, and rightly so. Your logo is an integral part of any business, and it's incredibly important to have a beautiful mark designed that can represent your business well. Now, here's where the confusion comes into play. "Well, isn't a brand and a logo the same thing?" The answer is... yes and no, actually. Your logo is most definitely a part of your brand, however, there are many more elements that work together to truly form your brand identity. Anything from color choices, typography (font choices), the personality of written content (brand voice), specific patterns or textures, uniforms, photography style, icons, and anything else that a customer sees associated with your business. The reason graphic designers exist is to help businesses build their brand, and here's the kicker, KEEP IT CONSISTENT! That is one of the main pros of a well-designed brand, it is consistent from web to print and everywhere in between. Think about a brand like Walmart. You recognize their marketing no matter where it is because they use consistent logos, colors, fonts, voice, and even spacing between elements. It isn't just a fluke, because they have specific guidelines that keep their marketing harmonious across all platforms. Yup, developing a brand is more money up front. But getting a beautifully designed brand done now will save you time, money, and headaches later. I have always loved this quote from the CEO of Jaguar. So, now that you know a little bit more about branding, apply that knowledge to your business. How does your business look in your market? Respectable? Reputable? Trustworthy? If you aren't sure what to think, then let's chat. Consulting small businesses and entrepreneurs on their branding is something I love to do. Let's blow your competition out of the water with a stunning visual brand that we build together.